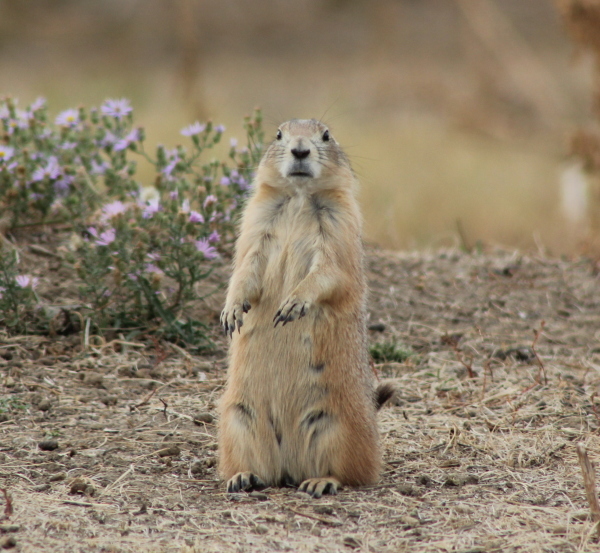 Prairie Protection Colorado was started by grassroots activists and members of Deep Green Resistance who refused to stand by while they witnessed the continued annihilation of prairie dogs up and down the Front Range. 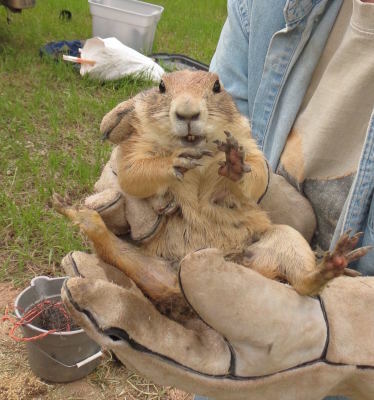 Our non-profit organization advocates for prairie dogs by drawing attention to the mass exterminations of prairie dog colonies through organizing and resisting the destruction of these last remaining prairie communities. 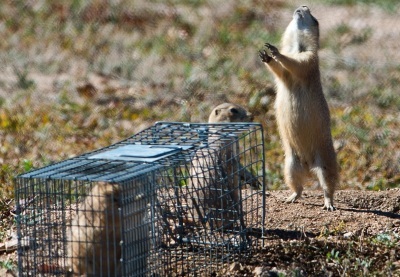 PPC organizes on the ground and works ​​​​​​​​​​​​​​​with grassroots advocates, local governments, the media and legal channels to cast a web of protection over the last remaining prairie dog colonies throughout Colorado's Front Range communities. Thank You PPC and ALL Advocates! I Live Because of You! 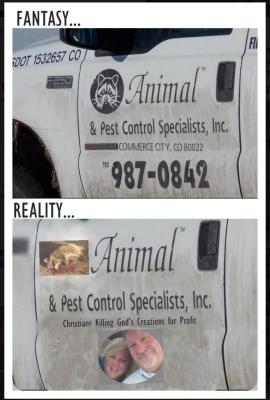 Ronnie Purcella owns a pest control service that kills more prairie dogs than any other along the Front Range because he is the lowest bidder. Ronnie is ruthless and takes pleasure in these kills. 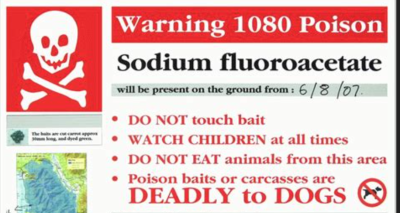 He kills numerous non-targeted species with his favorite poison of choice, Fumitoxin. 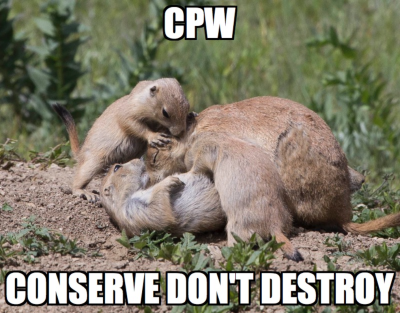 Ronnie was the killer of the Castle Rock Mall prairie dogs, has been hired by Denver Water, has killed key colonies in Longmont and Boulder and kills thousands of animals each year. Ronnie also claims to love animals and to be guided by Christian morals. Ronnie and other pest exterminators should not be legally permitted to ruthlessly kill the last of our wildlife communities. 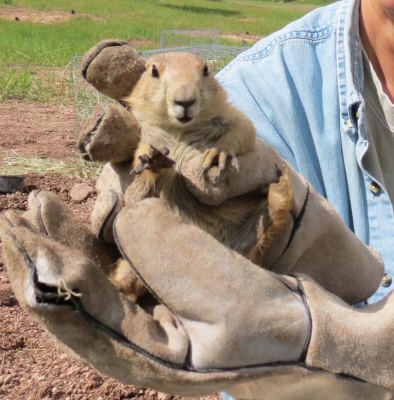 ​State Wildlife Officials play a huge role in the poisoning of prairie dogs and countless other wildlife species throughout Colorado. Not only do they poison prairie dogs and non-targeted species throughout the region with harmful poisons, they also are at war with predators such as mountain lions and bears in this state. 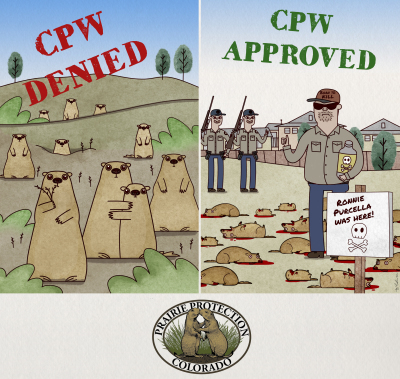 CPW prides themselves on "trophy" animals and they cater to sports hunters since a lot of their funding comes from this industry. 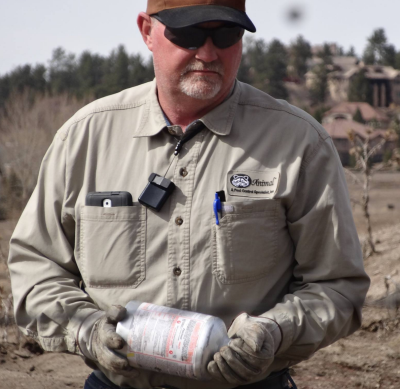 CPW facilitates pest control specialists and encourages the use of fumitoxin and other harmful poisons that are administered across Colorado's prairies. 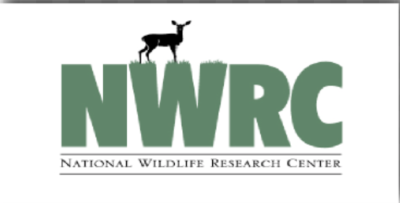 APHIS's Wildlife Services: Wildlife Services is a division of the U.S. Animal and Plant Health Inspection Services and focuses on exterminating wildlife. 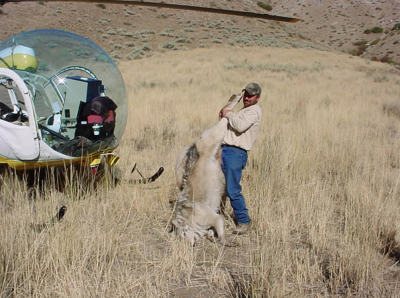 Wildlife Services kills between 2 and 4 million animals each fiscal year and does the majority of this through dousing poisons all over the land. 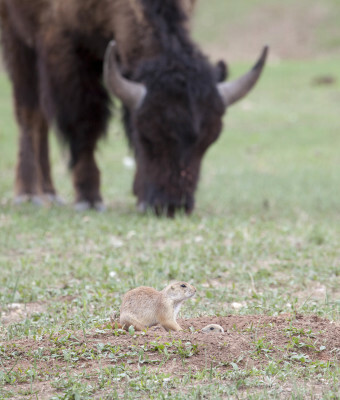 In Colorado, the National Wildlife Research Center focuses on creating poisons that will most effectively kill native "nuisance" wildlife such as prairie dogs, raccoons and coyotes. They keep wild animals trapped throughout the facility so they can test different poisons on them for efficacy. 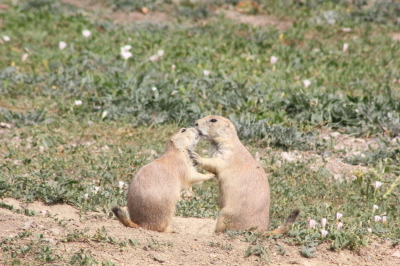 ​ Prairie Protection Colorado is working on challenging the listing of prairie dogs under the nuisance wildlife laws in Colorado. 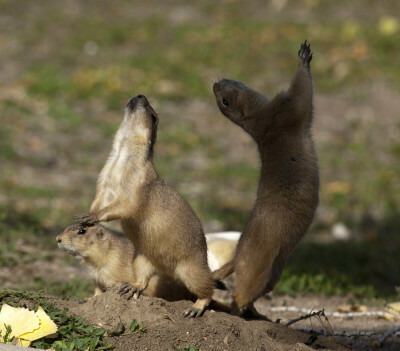 Prairie dogs are scientifically recognized as a keystone species of the prairies and is clearly not a nuisance. 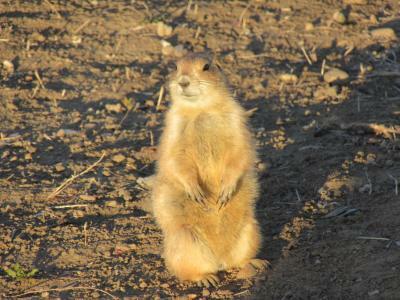 By labeling the prairie dog as a "destructive rodent pest" and allowing this species to be classified as a "nuisance" species, prairie dogs are disqualified from any animal cruelty laws or protections and encourges and allows for the poisoning, shooting and reckless slaughter of their families and prairie communties. Changing this label that has been place upon the prairie dog would enforce changes across the state that would require their protection. ​ Prairie Protection Colorado recognizes that working within the current structure of law and regulations will never be effective in protecting and preserving land and life. PPC continually works towards implementing new laws that give rights to nature and to prairie communities. These laws aim at banning poisons and any destructive harm to the soil, land, wildlife species and water. PPC's board members were plaintiff's on the first Rights of Nature legal case, Colorado River vs. State of Colorado . We plan to continue this work until the courts recognize that natural communities have a right to exist and thrive. 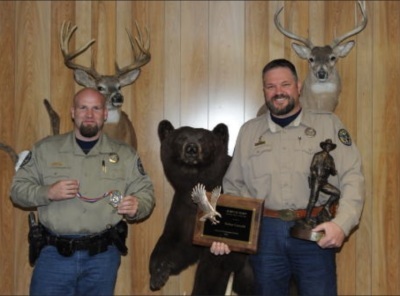 The current legal system is clearly not working to protect those who are left and we need to restructure our laws and rights to include those of nature. 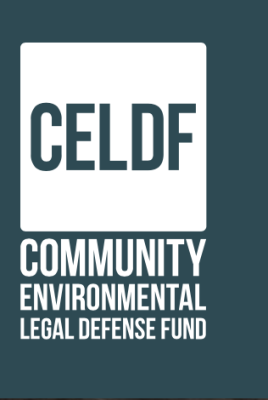 Check out the Community Environmental Legal Defense Fund to learn more about this approach and how you can get involved! 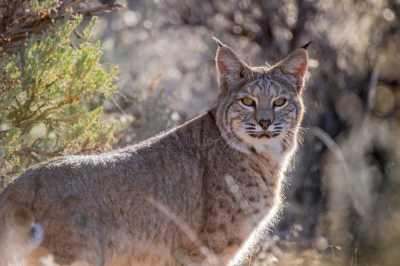 A Colorado Citizen's Petition has been submitted for review to the Colorado Parks and Wildlife Commission to ban all trapping and hunting of bobcats in Colorado. Currently, there are no population statistics on bobcats in Colorado, yet the trapping and shooting of this species has gone up tremendously as a result of pelt prices. Most of the fur is being sold on the Asian market for coats. In Colorado, both leghold and foothold trapping is illegal, but live trapping is still acceptable and used. The majority of these bobcats are strangled to death after being caught in their traps, which is not legal in this state, in order to avoid holes in the pelt and the mess that blood causes. Please get involved by clicking on this page and following the instructions . We also are asking you all to set time aside to attend the Commissioners meeting where our petition will be heard on the 9th or 10th of May. For Colorado's Bobcats!! !